Louisiana offers so much of the expected—serene bayous with awe-inspiring alligators, exquisite Cajun food, and a variety of festivals and celebrations—but the state is also packed with the unexpected—hidden gem restaurants, fascinating museum exhibitions, and old-fashioned, family establishments that only the locals seem to know about. Traveling the main highways and back roads are both rewarding, as a wealth of authentic experiences await along your journey through Sportsman’s Paradise. From food festivals that celebrate peaches or corn to the historical attractions that remind us of the state’s storied past to the scenic waterways and outdoor activities, there’s tons to see and do this summer across Louisiana. Check out the latest news from various parishes and communities as well as a few new or new-to-you points of interest worth exploring in the following guide to traveling around Louisiana. It’s peach season in Ruston and Lincoln Parish! 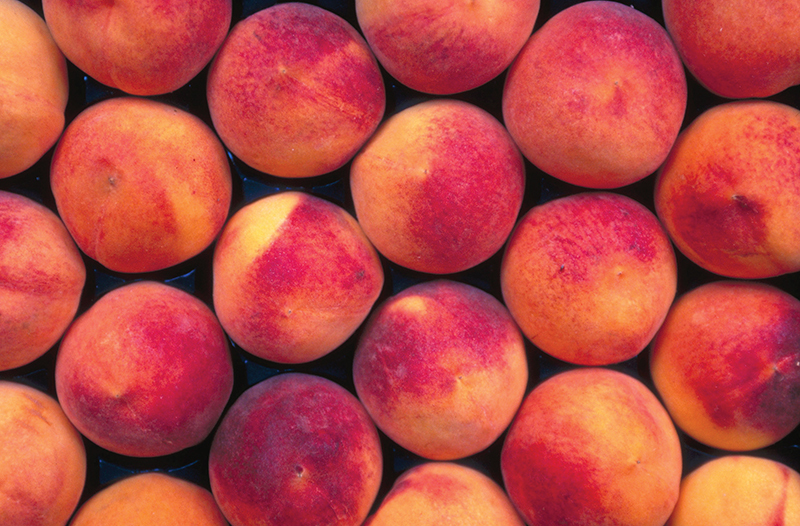 Mark your calendars for the 68th Annual Louisiana Peach Festival happening June 22-23 in downtown Ruston. It’s sure to be a fun-filled weekend with the entire family with live entertainment, activities for kids, arts and crafts, downtown shopping, a parade, and more! The entertainment lineup for the festival includes a Battle of the Bands, country music’s Lacy Cavalier and John King, Katalyst, and New Orleans superpop cover band Bag of Donuts. Kids will go wild for the festival’s newest attraction: robots! Watch these extraordinary machines march in the parade and up and down the streets of the festival. You won’t want to miss your chance to sample savory treats made from Louisiana’s sweetest peaches or a trip to Mitcham Peach Farms for delicious homemade peach ice cream. For more information about Ruston or to plan your trip to the Louisiana Peach Festival, visit ExperienceRuston.com. Avoyelles Parish is blooming with opportunities for festival and music lovers. Cajun Crossroads Festival in Hessmer takes place the first weekend of May (4-5). Celebrate Mother’s Day with food and fun May 10-13 at the 44th Cochon de Lait Festival in downtown Mansura, the “Cochon de Lait Capitale of the World.” Paragon Casino Resort will host three concerts in May: Frank Foster, Keith Sweat, and The Chee-Weez. Call 800-745-3000 for tickets and information. The Tunica Biloxi Tribe of LA invites you to the 23rd Annual Tunica Biloxi PowWow, May 19-20, at the Alcide Pierite Pow-Wow grounds on the Tunica Biloxi Reservation. Visit TunicaPowWow.org for details. Bunkie hosts the 32nd annual LA Corn Festival June 7-9 at the Haas Auditorium and festival grounds with corny contests, great music, awesome food, and a carnival. Louisiana’s longest running 4th of July Celebration and the Avoyelles Arts and Music Festival take place July 4 in downtown Marksville. This family fest is free to the public. For more summer festivals and things to do in Avoyelles Parish in May and June, visit TravelAvoyelles.com or Travel Avoyelles on Facebook for a complete listing of events. St. Mary Parish, also known as the Cajun Coast, is a gem for experiencing the great outdoors in Sportsman’s Paradise. Surrounded by the waters of Bayou Teche, Atchafalaya River, and the Atchafalaya Swamp Basin, the Cajun Coast is known for its natural splendor and “road less traveled” atmosphere. Options for exploration, relaxation, and excitement abound on both water and land. Find your calm among the serene wilderness of the Atchafalaya National Heritage Area or along the Bayou Teche Scenic Byway. Boaters enjoy the waters of the Atchafalaya Basin, the largest overflow swamp, as well as the scenery and sounds offered by the Bayou Teche National Wildlife Refuge. Golfers won’t want to miss a chance to hit the Atchafalaya at Idlewild, which was rated the number one golf course in Louisiana by Golfweek Magazine in 2008 and 2009 and number two by Golf Advisor in 2017. This summer, St. Mary Parish is alive with events such as Rhythms on the River, which continues on Fridays through June 1st, the Bayou BBQ Bash, July 13-14 and Bikers on the Bayou, July 15th in Frankln. For more information, visit cajuncoast.com. Central Louisiana is home to a hidden gem in the form of the Louisiana Maneuvers and Military Museum. The Museum is located on the grounds of Camp Beauregard in Pineville and offers free admission to the public. Built as a replica WWII barracks, the Museum houses memorabilia and artifacts from the WWII era as well as WWI and earlier time periods. Visitors can view life-size military vehicles, authentic military uniforms, and historic pieces from the home front while learning about the Louisiana Maneuvers. And for a more complete experience, after visiting the Museum, head to the site of Camp Claiborne in Kisatchie National Forest to see where the 101st and the 82nd Airborne Divisions began. Step into the lobby of the Hotel Bentley where there is an exhibit about the Louisiana Maneuvers. To learn more or begin planning a trip, visit AlexandriaPinevilleLA.com or call 800-551-9546. Louisiana is a place unlike any other. It’s southern and coastal, traced with bayous and sprawling stands of live oak. It’s musical, with twangy accordion blending with New Orleans’ brass notes and jazz’s blue notes. It’s centuries of history living within an ever-evolving culture. It’s gumbo and étouffée; it’s boudin and cracklins, and it’s the best seafood in the whole world. When you come to Louisiana, it’s likely because one of these elements lured you here: the incredible local music, the delicious food, the depth of history, or the unique culture. Louisiana is more vibrant today than ever before, so it’s the perfect time to explore what makes this state so special. Whatever brings you to Louisiana for your next visit, you’ll be glad to have followed your passion. Because once you experience Louisiana, it’ll keep you coming back time and again. Visit LouisianaTravel.com for more information and travel ideas. Immerse yourself in a world of natural wonders at Alexandria Zoological Park, Central Louisiana’s #1 destination for wild family fun. From the majestic Malayan tiger to the charismatic squirrel monkey, discover over 500 extraordinary animals representing 160 species from all over the world. Connect with wildlife at interactive keeper chats and stage shows, where fun meets education and nature conservation. An array of entertaining and educational special events, camps, classes, and programs are also held throughout the year. Amenities include a train ride, playground, gift shop, concessions, picnic tables, ATM, and stroller rental. For more information, visit TheAlexandriaZoo.com. In 1931 it was a downtown jewelry store. Today, the location is the home of Alexandria’s crown jewel of dining. A recipient of several local food awards, including “Best Steak,” The Diamod Grill offers a wide range of superb menu items to suit every taste and budget along with a full service bar and elegant mezzanine seating. Locals love the nightly featured specials in addition to favorite menu items such as house grilled steaks and fresh local seafood. ​Michael L. Jenkins purchased the The Diamond Grill Restaurant in 2011, and since then, the restaurant has become one of the most well known restaurants in Central Louisiana. With its romantic ambience, the Diamond Grill offers intimate fine dining as well as two separate banquet areas able to comfortably seat up to 108 people. The Diamond Grill is perfect for memorable rehearsal dinners, birthdays, and more! Visit The Diamond Grill for chef-inspired creations, steaks, and seafood. For more information and reservations, visit TheDiamondGrill.com or call 318-448-8989. Like The Diamond Grill on Facebook for daily updates. Recovered Memories: Spain, New Orleans, and the Support for the American Revolution is now on display at The Cabildo in New Orleans’ Jackson Square through Sunday, July 8. This engaging and elaborate exhibition explores Spain’s influence on the development of New Orleans, its support of the American Revolution, and Spain’s lasting legacy on American culture. It features hundreds of artifacts, documents, and works of art from more than a dozen Spanish, domestic and local institutions, private collections, and from the Louisiana State Museum’s own significant holdings. Highlights include Francisco Goya’s lyrical painting, The Swing, 1787 (on loan from the Museo Nacional del Prado in Madrid) and the original battle flag captured By General Bernardo de Galvez when he defeated the British at the Battle of Baton Rouge in 1779. Recovered Memories was organized by Iberdrola in association with the Louisiana State Museum. Iberdrola is an energy corporation based in Spain, focusing on the sustainable energy models of hydroelectric and wind power. For more information on this and other exhibits, visit LousianaStateMuseum.org. Since 1922, Bossier City has been home to one of the oldest, most unique hardware stores in the state. At just 12 years of age, Don Tubbs went to work sweeping floors at the very store he’d come to own only seven years later. Since that time, Tubbs Hardware has become a household name in North Louisiana and a point of interest for travelers to the area. In addition to being an old-fashioned, locally owned hardware store, Tubbs Hardware serves as a one-stop Louisiana souvenir shop with a vast selection of Mardi Gras supplies and Cajun gifts, including Tubb’s famous wall of hot sauce. Visitors enjoy stocking up on their favorite Louisiana goods, experiencing the hometown hardware store, and visiting with owner Don Tubbs. Easy to get to right off I-20, Tubbs Hardware is located across from the Bossier Civic Center, near the Mardi Gras Museum, and just blocks from the Shreveport-Bossier riverboat casinos. Tour buses are welcome. Visit the store Monday through Saturday at 615 Benton Road. For more information, visit TubbsHardware.net or call 318-746-0311. In the center of Louisiana, in the twin city area of Alexandria-Pineville, stands the grand Hotel Bentley. Situated on the banks of the Red River, this magnificent, century-old structure was built in 1908 by Mr. Joseph Bentley at the original cost of $750,000. Often called the “Waldorf of the Red River” or the “Biltmore of the Bayou,” this Central Louisiana treasure features 93 luxurious rooms and a wealth of history. With the beginning of WWII, Central Louisiana became the center of a nine-state area for the training of military personnel. It is said that many of the plans for WWII were formulated at Hotel Bentley, and many troop commanders lived at the famed hotel whose register lists such names as Maj. Gen George Patton, Lt. Col. Omar Bradley, and Col. Dwight Eisenhower. Other famous guests of Hotel Bentley include Henry Kissinger, John Wayne, Bob Hope, Mickey Rooney, and Tommy Dorsey, along with Louisiana politicians Huey Long and his brother Earl Long. For more information and booking, visit HotelBentleyandCondos.com or call 318-442-2226. In the heart of Louisiana, tucked near a corner of Alexandria’s burgeoning downtown scene, Finnegans Wake brings the flavor of the authentic Irish pub to locals and visitors looking to pass a good time over a pint of beer or a drink of whiskey. Founded by Shannon Nolan and Galen Bohannon in 2005, Finnegans Wake features the old look and atmosphere of a traditional pub, including imported English and Irish antiques and architecturals and the exquisite woodwork of Nolan himself. To be expected, beer is the main draw with over 100 beers in stock and 18 rotating taps that feature craft brews from Louisiana and beyond and, of course, Guinness—an Irish staple. The pub also stocks over 110 whiskeys from all over the world. Don’t miss the pub’s St. Patrick’s Day celebration—a sight to see as a local Alexandria priest gives the blessing of the beer at high noon. During special events, you can often catch live, authentic Celtic music at the pub. Finnegans Wake is located at 812 3rd Street in downtown Alexandria. For information, visit Facebook.com/FinnegansWake.alex. Generations of families have been returning to Sentry Grill for good, old-fashioned burgers and breakfast in Downtown Alexandria for decades. Inside of Sentry Drug, this family owned restaurant, pharmacy, and gift shop has a way of making everyone feel at home. Located near Alexandria’s numerous museums and exciting zoo, Sentry Grill is the perfect lunch-time stop-in for a classic diner burger or famous pattie melt. Or, start your day at Sentry Grill with the Country Boy Breakfast: two eggs, choice of bacon or sausage, grits, and toast or a biscuit, baked from scratch daily. Visit the gift shop and pharmacy and take home your favorite Louisiana items like Cajun seasonings, LSU gear, locally crafted Mardi Gras masks, party goblets, and more. Sentry Drug offers fast, friendly pharmacy service and is one of few remaining family owned and operated pharmacies in the area. Sentry Grill is located at 1002 Third Street in Alexandria. For menus and other information, visit SentryDrug.net or call 318-445-0952. Sentry Grill serves breakfast Monday-Friday from 7:30-10:30; daily lunch specials run from 11:00am-2:00pm, and burgers are served from 7:30am-3:00pm. Located just outside of Alexandria in Forest Hill, Louisiana, sits an unassuming little restaurant that packs huge flavor and a world-famous recipe. Literally “world famous,” Mi Tierra’s hot tamales have received national and international recognition—the recipe itself is archived at the Smithsonian in Washington D.C. Family owned and operated since 2004, Mi Tierra Restaurante Mexicano is the creation of Mrs. Irma Rodriguez, who takes a unique approach to traditional Mexican cuisine by fusing her family’s old recipes and Louisiana flavors. In addition to its famous tamales, menu favorites include the Mi Tierra combination plate, the queso fundido with house-made chorizo, and from-scratch flour and corn tortillas. Mi Tierra has placed numerous times at the Hot Tamale Festival in Greenville, Mississippi, and the restaurant is one of only a few in the United States to be recognized by the Mexican government as accurately representing Mexican cuisine. Mi Tierra is located 11418 US-165 in Forest Hill and is in the process of opening a second location in Alexandria at MacArthur Village estimated to open during May. In 2017, Marksville welcomed a new culinary venture by Avoyelles Parish native Paige Lucas, who brings her culinary experience from all over the state back home with the creation of Pork Belly’s Bar & Grill. With a creative spin on Louisiana and Southern fare, Pork Belly’s offers an array of foods with tantalizing local flavors such as the wildly popular “Da Hot Mess” (loaded curly Q fries topped with smoky pulled pork), the Cracklin Crusted Porkchop over whipped potatoes, and the Catfish Avoyelles, a fried catfish filet topped with crawfish bisque and served over rice. The restaurant’s signature Pork Belly is not to be overlooked—slow roasted for six hours, the pork belly is then deep fried and drizzled with a secret-recipe cane syrup glaze. Specialty drinks and decadent southern desserts add to the flare. A proud supporter of the Marksville Chamber of Commerce, Pork Belly’s Bar & Grill is bringing new flavors to Marksville and setting trends in Avoyelles. Visit the restaurant at 523 Tunica Drive. For information, call 318-240-0000 or follow on Facebook, Instagram, and Twitter. Pork Belly’s is open for lunch and dinner Tuesday through Saturday. Enjoy an amenity-rich lifestyle and the peace of mind that comes from living in the only Continuing Care Retirement Community (CCRC) to offer Life Care in the Baton Rouge area. At St. James Place, residents enjoy the freedom to live life as they choose, without the hassles of home maintenance. Apartments, garden homes, and patio homes are available in wide-ranging floor plans with kitchens featuring new appliances and granite countertops. With multiple dining venues, a fitness center, indoor swimming pool, art classes, and evening cocktail hours, residents enjoy new activities and events every day. They also appreciate the safety of this 52-acre gated community located close to friends, family, and LSU with easy access to I-10. St. James Place offers something unique that can’t be found at other senior living communities in Baton Rouge: vibrant Independent Living and access to a full continuum of on-site long term care, including Assisted Living, Memory Care, Rehabilitation and Skilled Nursing Care. To learn more about St. James Place, enjoy an educational luncheon, take a tour, or arrange a personal appointment by calling 225-910-8305.